We service our clients best, when we serve our employees first. Construction sites contain a wide variety of valuable equipment that operators will want to protect. Unfortunately, construction sites also attract thieves, vandals, and trespassers. For this reason, it's important to keep your construction site properly protected to ensure your equipment and your project remain in tact. Fortunately, there are steps you can take to keep your construction site safe, both long term and on a day-to-day basis. We've compiled a list of tips to help you promote security at your construction site to keep it safe and secure. One of the most important things you can do to keep your construction site safe is to develop a security plan early. Map out your area, identify valuable assets and vulnerable points, and develop a strategy to protect them. You might want to enlist the help of a professional security company, who will assess your property and make appropriate suggestions that are best for your property. You should also create a plan for an emergency and make sure all of your workers know how to react and who to call. To protect your construction site, you should create a perimeter to keep everything valuable inside. Consider putting up fences and gates that will keep your site safe and keep trespassers out. Securing the perimeter is a good way to keep track of all of your assets and make sure that they’re protected. It will also deter potential thieves and trespassers from entering the site, as they will have obstacles and be aware that you take security seriously. Keeping your construction site lit at night can help improve security. When areas of your site are lit, it will be easier to see any trespassers on your property at night. This increased visibility will deter many criminals from trespassing. If someone does enter your site at night, it will be much easier for passers by to witness illegal activity and alert the authorities. Leaving equipment at your construction site is inevitable, as bringing everything back and forth would be implausible and a waste of time and resources. It’s impossible to lock up large pieces of equipment such as cranes, bulldozers, and partially built structures. However, many pieces of equipment can be locked in shipping containers at night. Lock away as many pieces of valuable equipment as you can to keep these materials safe. The equipment that is locked safely in these containers will be protected from theft and vandalism. Scheduling deliveries as needed will prevent you from having an excess of materials lying around. When you order in bulk, you will have materials and equipment that sit on your site and are not used for extended periods of time. These materials will not be closely monitored and will be highly vulnerable to theft. Instead of this approach, schedule your deliveries as you need them to prevent large quantities of equipment from sitting on your site for extended periods of time. Installing a fence around your property along with gated access control will help you control who enters your construction site in order to keep it more secure. When there are no entrances other than an access-controlled gate, you can monitor and control the access to your site. You can keep unauthorized visitors out at all times and can make sure that no one enters your site at night. Access control systems are valuable tools to maintain the security of your site and keep criminals out. One of the best ways to the promote security of your construction site is to install a surveillance system. Surveillance cameras will monitor your entire construction site, protecting your equipment. When an event does occur, the person monitoring your equipment can take action or alert the authorities to address the problem. Surveillance systems are the best way to monitor your construction site and ensure that you know what’s going on at your site at all times. Signs that say “Keep Out” and “No Trespassing” will not be very effective in keeping trespassers out. However, signs that include a security company logo can be effective when accompanied by a surveillance system. Signs that alert any potential trespassers that the site is being monitored will deter them out of fear of getting caught and arrested. Although signs themselves can be an ineffective tactic, signs with a security company logo that accompany a surveillance system can be a very effective deterrent to keep trespassers out. One of the most effective ways to keep your construction site secure is to hire security officers to patrol the property at night. Security officers will not only deter any trespassers, but they will be able to stop thieves and vandals in the act. Security officers can also be valuable to monitor surveillance equipment and operate access control systems. These officers will be highly trained to address any potential threats to your construction site and keep it secure. If you’re dealing with a long-term project, one of the best things you can do to protect your construction site is to have a security risk assessment performed from a professional security company. During the assessment, a professional will come to your site and identify all weak points in your security. They will also provide suggestions for the best ways to improve these vulnerabilities and keep your property safe. 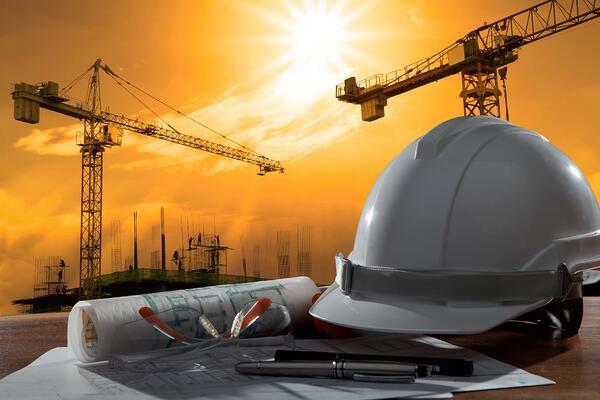 When you have a security risk assessment, you will have all of the information you need to keep your construction site as safe and secure as possible. We know every client’s risks and business objectives are different requiring customized security approaches, policies, procedures and requirements. By providing everything from on-site security guards to investigation services to remote security camera monitoring we cover a broad range of security needs. Our management and field personnel work with you to develop security solutions that are cost-effective and address your challenges while supporting your business. © 2017 United Security, Inc.. All Rights Reserved. CT Web Design | ImageWorks, LLC..